You are booking within a special block reserved for those qualified to receive the government rate. A proper government ID will be required at check-in. Government per diem is subject to change. Please click below to agree. Located in the center of the Las Vegas Strip, this modern resort offers a casino and 3 on-site restaurants. 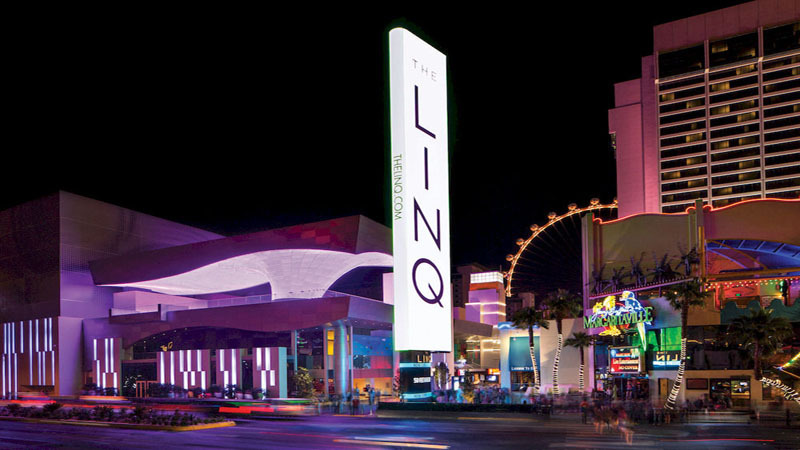 Direct access to the upscale shopping, dining and concert venues at the LINQ promenade is provided. Floor-to-ceiling windows with views of either The Strip or the High Roller observation wheel are featured in many of the upscale guest rooms at The LINQ. On-site dining options include celebrity chef Guy Fieri's Vegas Kitchen and Bar and Chayo Mexican Kitchen + Tequila Bar. Farm-fresh American specialties with a modern twist are offered at Hash House A Go Go. Multiple bars and lounges, including a lobby bar with wine on tap, provide a wide range of beer, wine and specialty cocktails.At The LINQ Hotel and Casino you will find a 24-hour front desk. Guest rooms includes one king bed or 2 double beds with a pillow-top mattress. Electronic features include USB charging stations and a 47-inch LED flat-screen TV. The room is designed with light, modern furnishings and pops of color. Whether it be shopping, relaxing or working out, chances are you've never done it like this. With two Forbes Travel Guide Five-Star Award-winning spas, unique salons, luxury shopping, exquisite resort pools and a team of concierges to assist with your every need, you'll find all you are looking for within the Wynn Resort. The elegant casino area was designed to anticipate your every desire. There's always something new to discover at the Wynn Resort. Choose to include many of the one-of-a-kind experiences of dining, shows, salons, or sports during your visit to turn your moments into unforgettable memories. 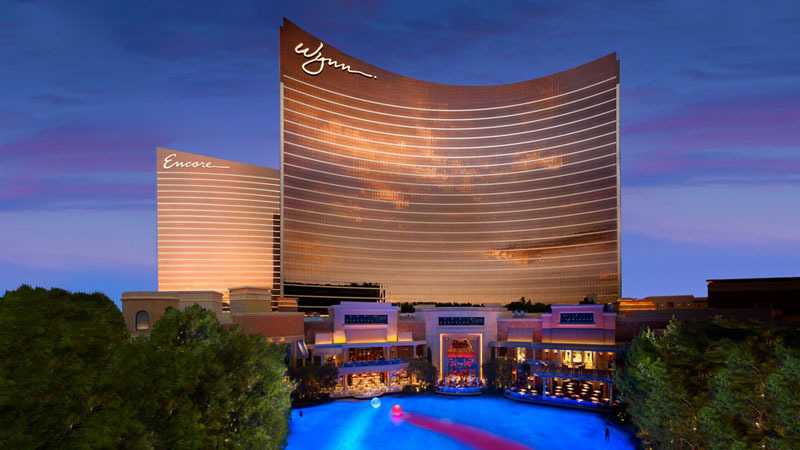 Collectively, Wynn Las Vegas and Encore hold more Forbes Travel Guide Four-Star Award-winning restaurants than any other independent resort in North America. From fine to casual dining, vegan and healthy eating options, the resorts has something to please any palate. There are also a number of resort bars and lounges to choose from, each offering unique scenery, menus and entertainment. The Wynn Deluxe Resort room features bright, neutral décor bathed in natural light from floor-to-ceiling windows and accented by elegant furnishings and fabrics. Bedside mobile phone charging outlets and touch-screen curtain, lighting, room service and privacy controls. The bathroom features an oversized marble bath, separate shower and water closet, a 13" LCD TV and plush, terrycloth bathrobes for your comfort.